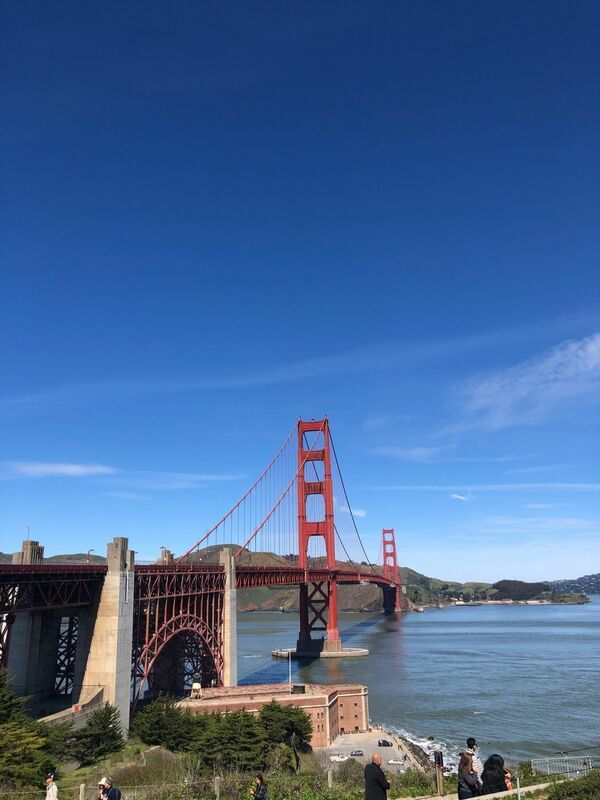 Walk or bike across one of the most beautiful bridges with great views of the San Francisco Bay and the one of the longest suspension spans in the world. 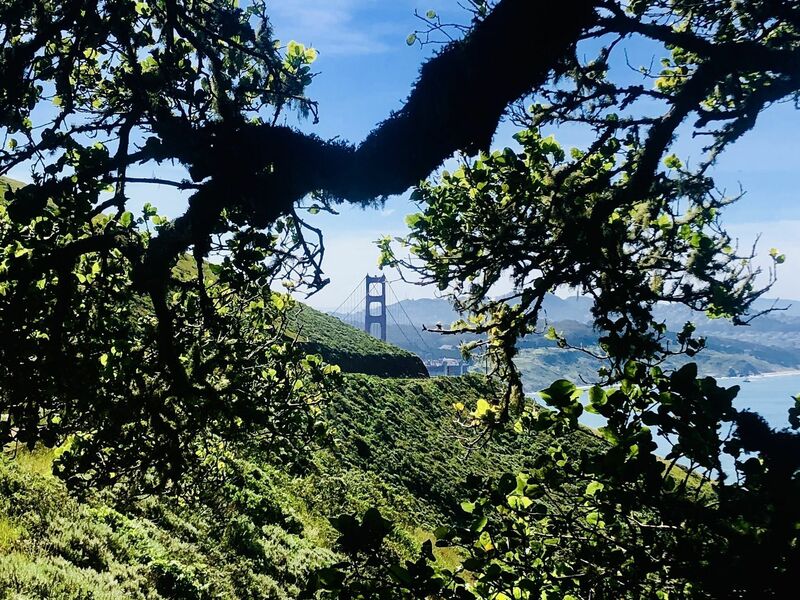 The Golden Gate Bridge, which spans from San Francisco to Marin County, is thought by many to be one of the most beautiful bridges in the world, and the opportunity to walk or bike across at least part of it should not be missed. 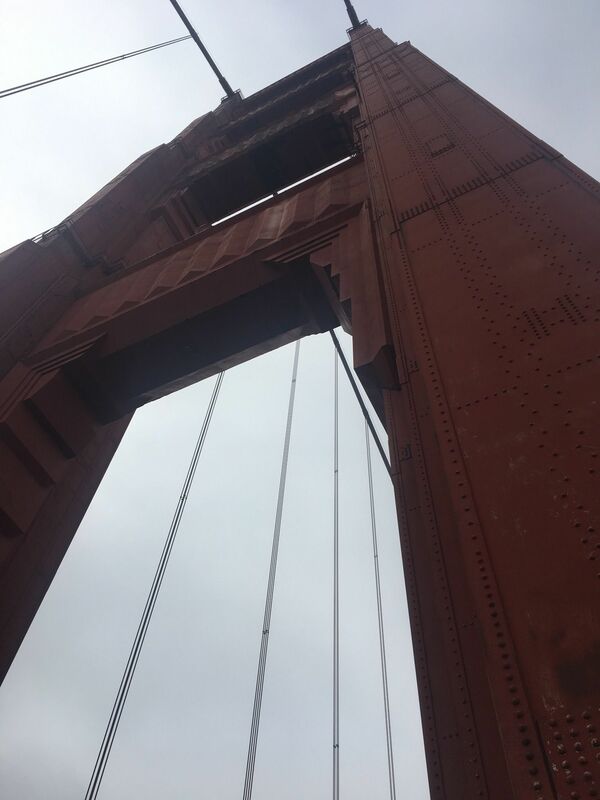 The bridge spans a total length of 1.7 miles, but most people only walk to the first tower and back again. 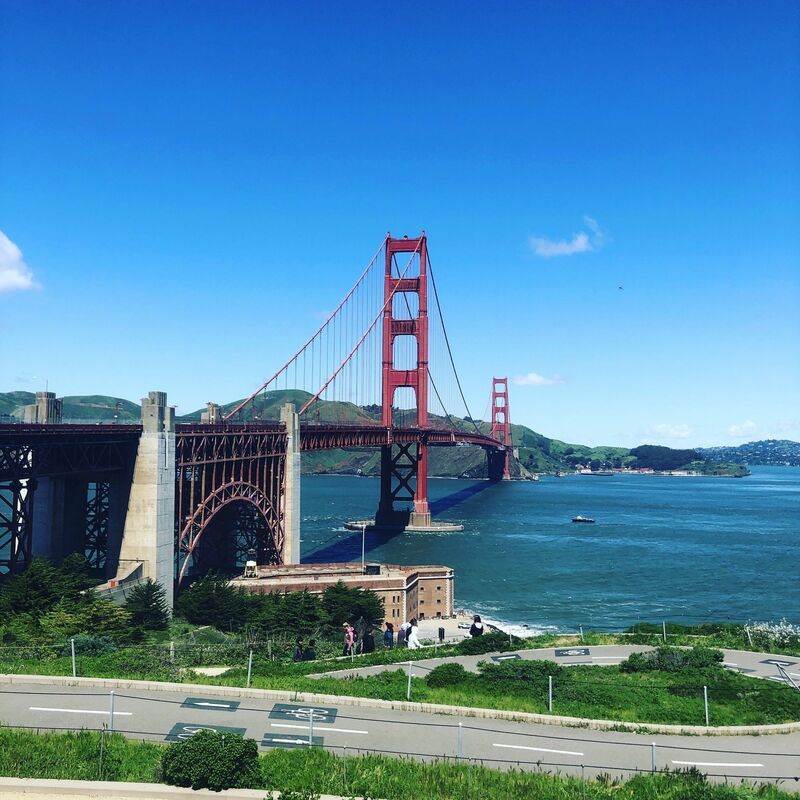 If you are feeling more adventurous, walk across the bridge and continue under the bridge up to the Hendrik Point vista point for a great view of the bridge with the San Francisco skyline in the background. 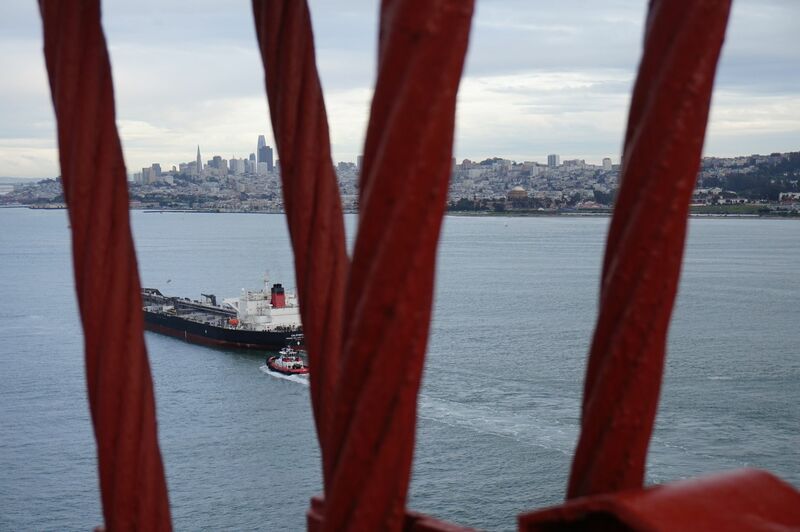 You will also have a great view of Alcatraz and even the Bay Bridge from here. 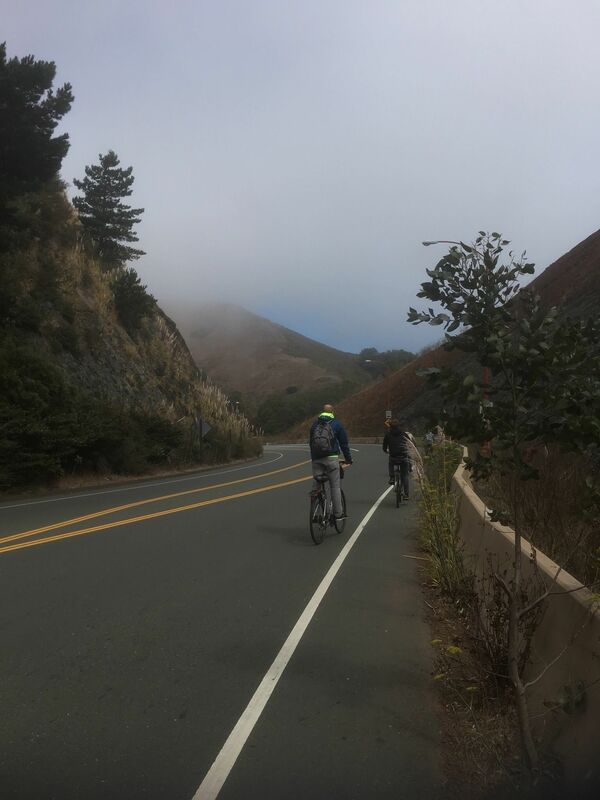 From the Marin side of the Golden Gate Bridge you can continue into the Marin Headlands or head down into Sausalito along the Bay Trail. 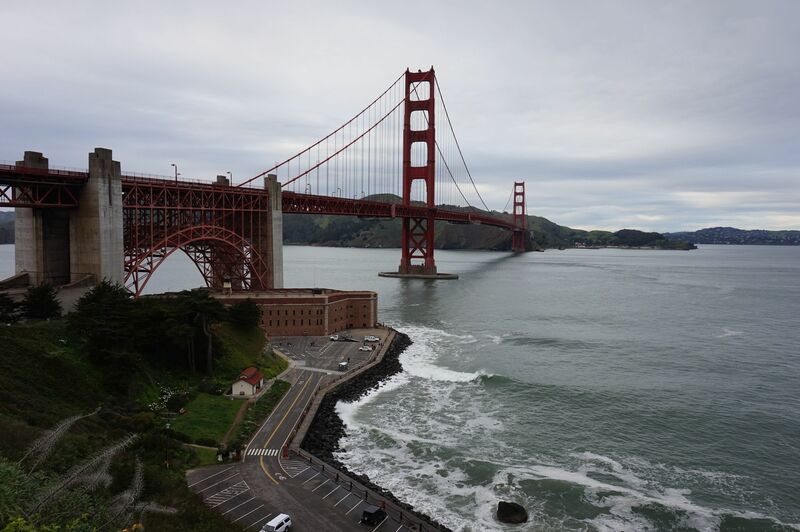 The Golden Gate Bridge was open to the public on May 28, 1937. The project was awarded Joseph Strauss who was the chief engineer in charge of the construction and design. 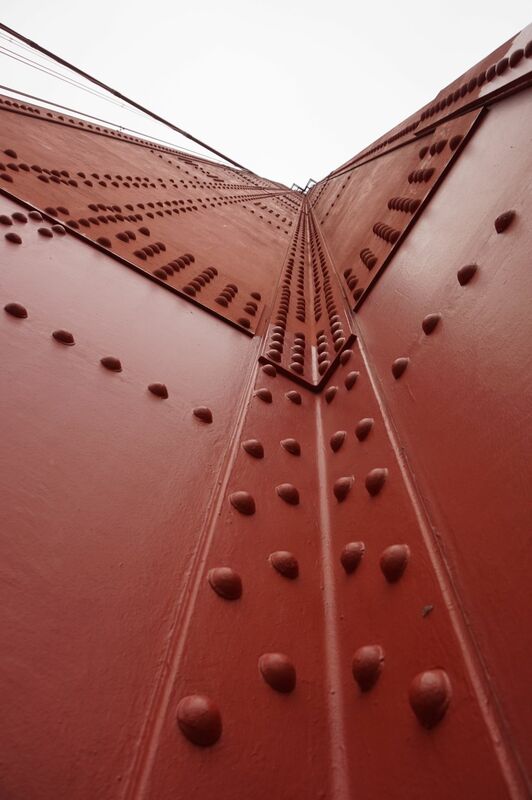 However, many design components of the bridge, including the towers and the Art Deco elements, were designed Irving Morrow, a relatively unknown architect. 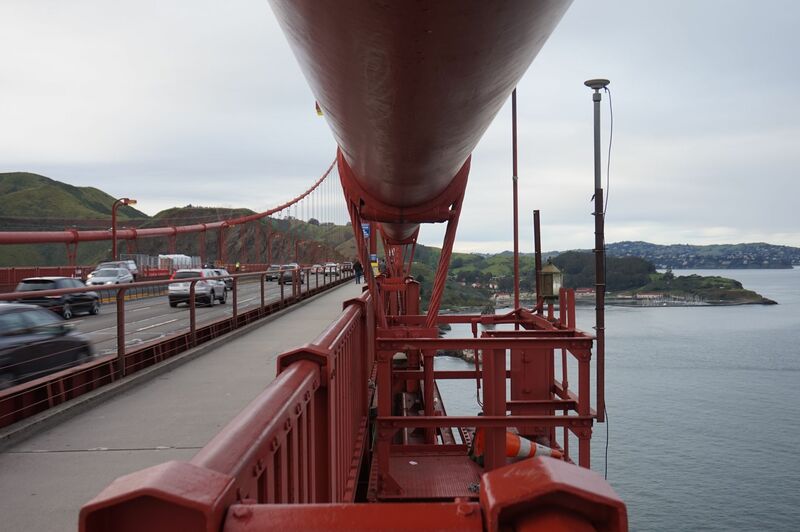 The main engineer on the project The official color of the bridge, international orange, was originally meant to be a primer for the bridge but the color has lasted as it provides visibility through fog. 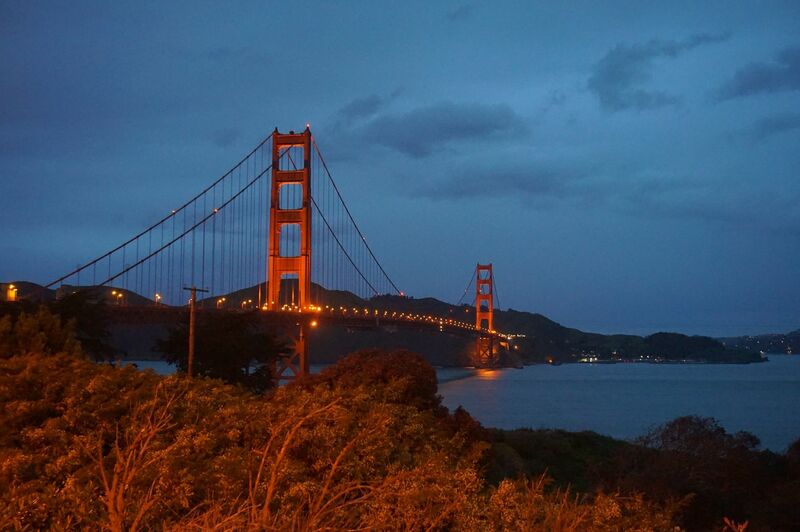 The Navy originally wanted the bridge to be black with yellow stripes. 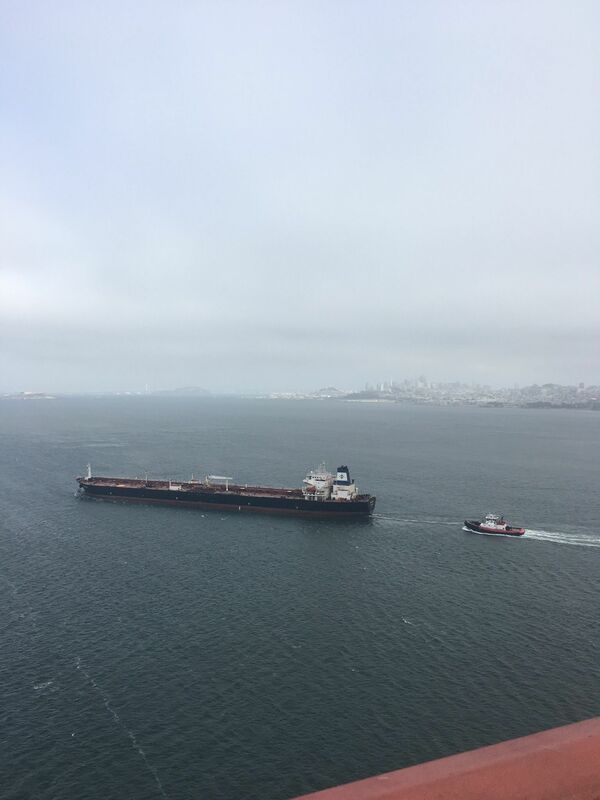 It spans 1.7 miles across the Golden Gate Strait which connects San Francisco to the Pacific Ocean is 90 feet wide. 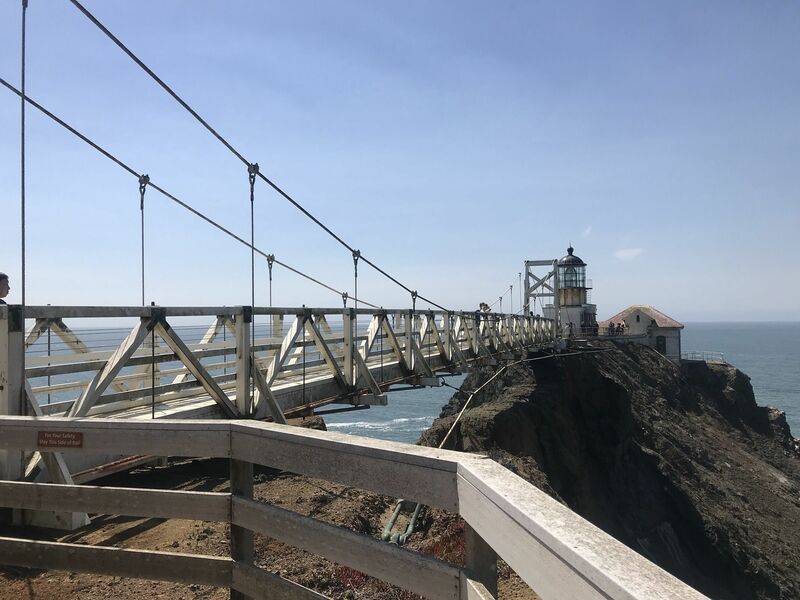 It's average height above the water is 220 feet, with the two towers rising up to 746 feet above sea level; more than 80,000 miles of wire were used in the bridge. 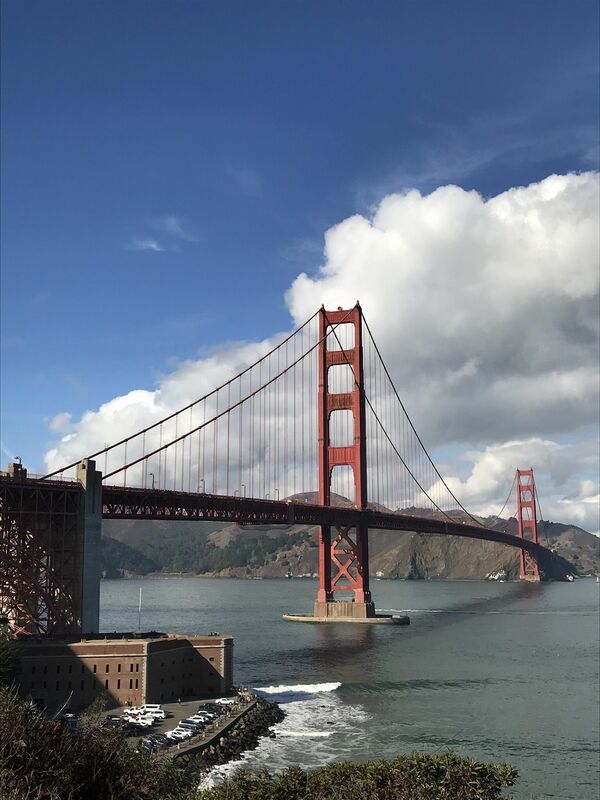 The bridge cost $35 million to construct and was the longest suspension bridge in the world, holding the title almost 30 years until 1964 when it was overcome by the Verrazano Narrows Bridge in New York. Nineteen men fell off the bridge while it was being built, but there was a safety net in place to catch them. 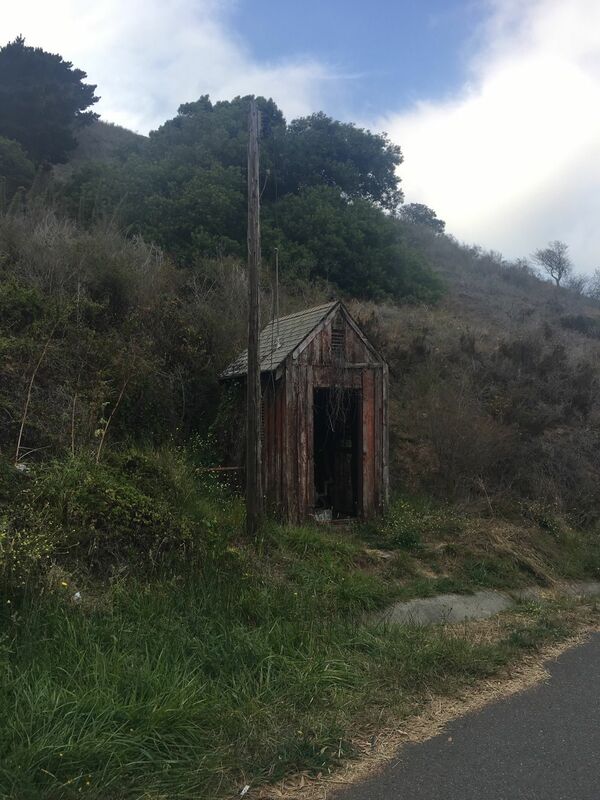 They were later known as the "Half Way to Hell Club" because of their near-death experiences. 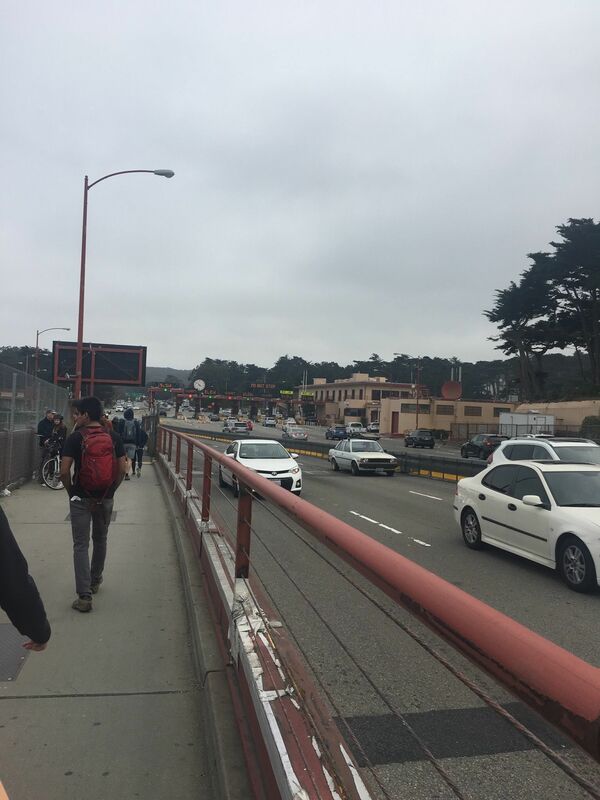 On its 50th anniversary the bridge was closed to cars and opened to pedestrians who were packed like sardines trying to walk around. 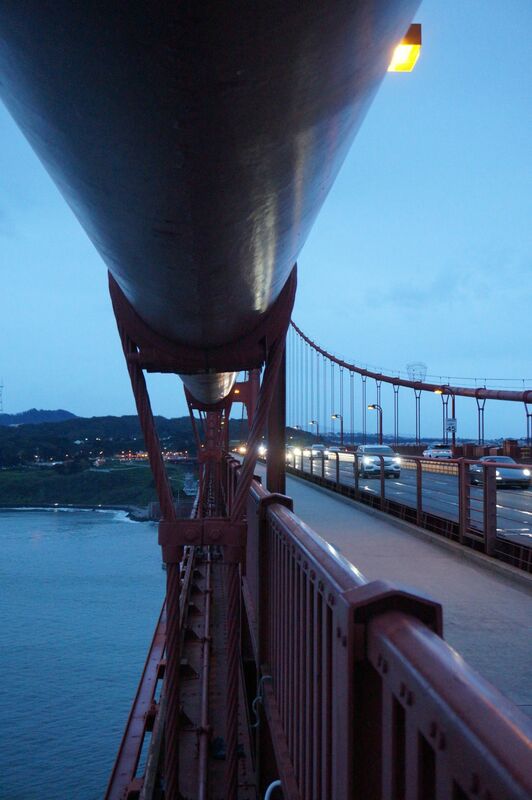 The weight of the dense crowd was significantly more than the bridge is used to with cars (the cars are much more spaced out), and the curved bridge became temporarily flat until the weight was lifted. 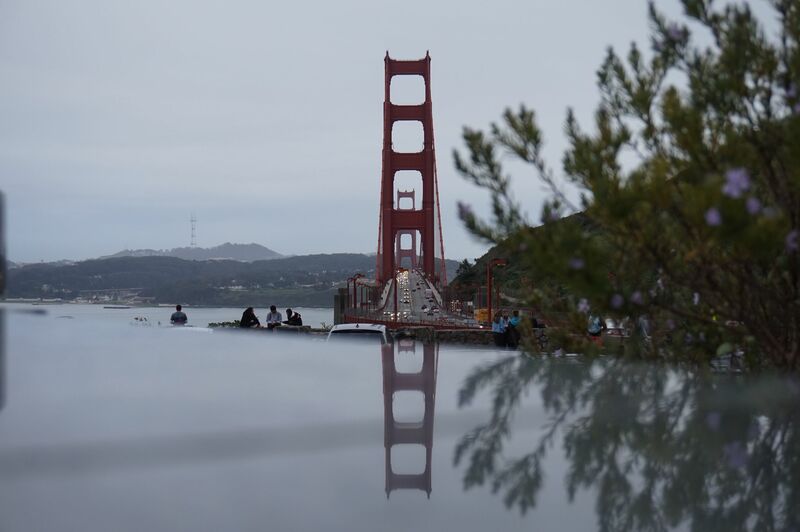 This is a must do, whether you are a Bay Area local or just visiting. 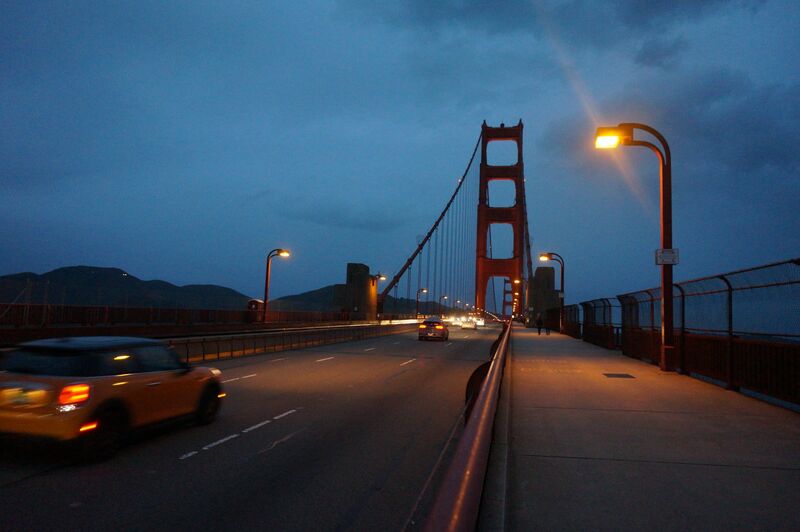 Park your car in the metered parking lot on the south side of the bridge. 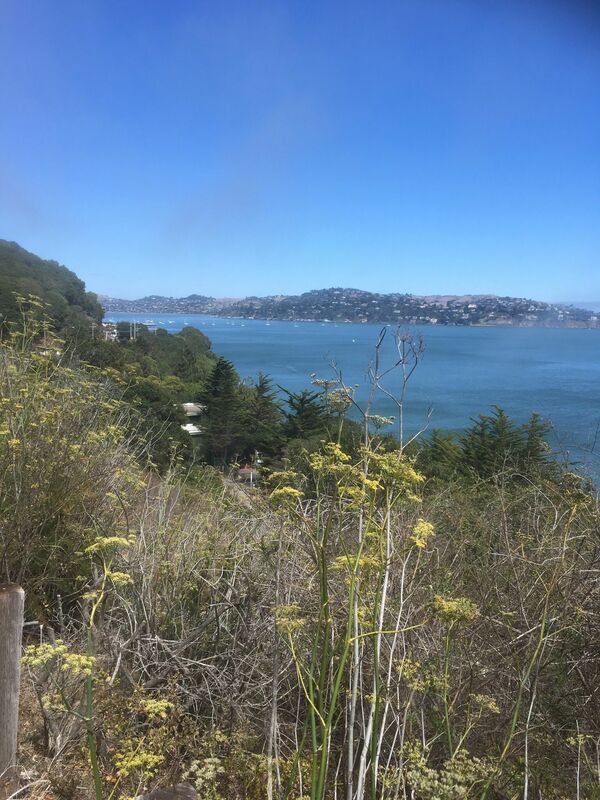 Don't miss the last exit or you will find yourself in Marin. If the main lot is full, follow Lincoln Boulevard a little way to the spillover parking lot. At the south end of the bridge you will find a parking lot, visitor center and a gift shop. 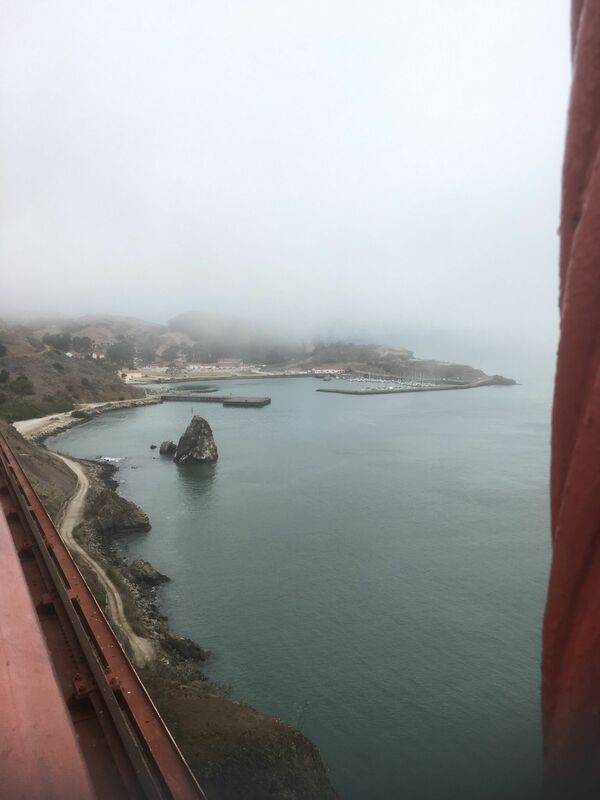 Look down to see Fort Point below the bridge and look to the other side of the bridge to see the Main Headlands in the distance. The Roundhouse was built in 1938 as a restaurant. Today it serves as an information center selling souvenirs, books and other information about the history of the bridge; there is a restroom nearby. 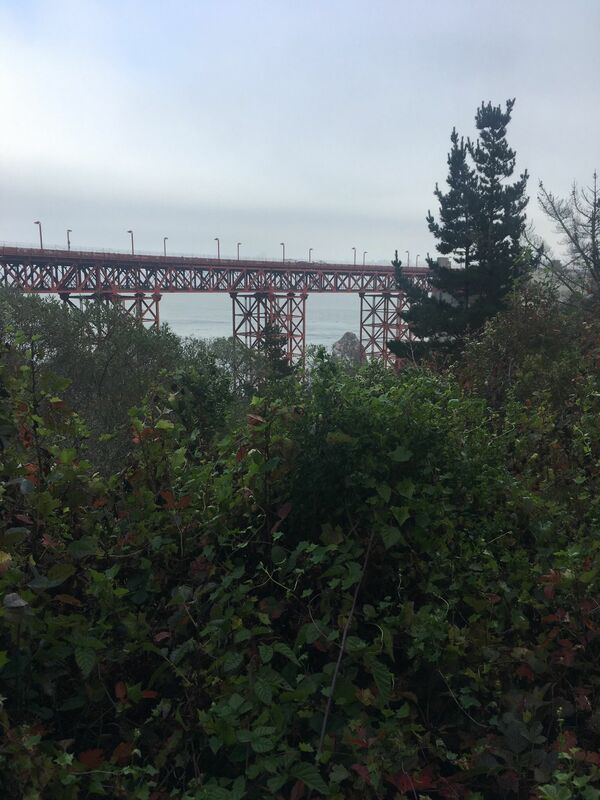 If you are up for a short hike, take the path down to Fort Point. Fort Point was completed just before the American Civil War to protect the harbor, but no enemies ever showed up. Today you can walk through the fort, up the stairs to the higher levels or look at the old cannons up close. A few times a day, rangers will give a demonstration of how the cannons were used (but they won't fire them). 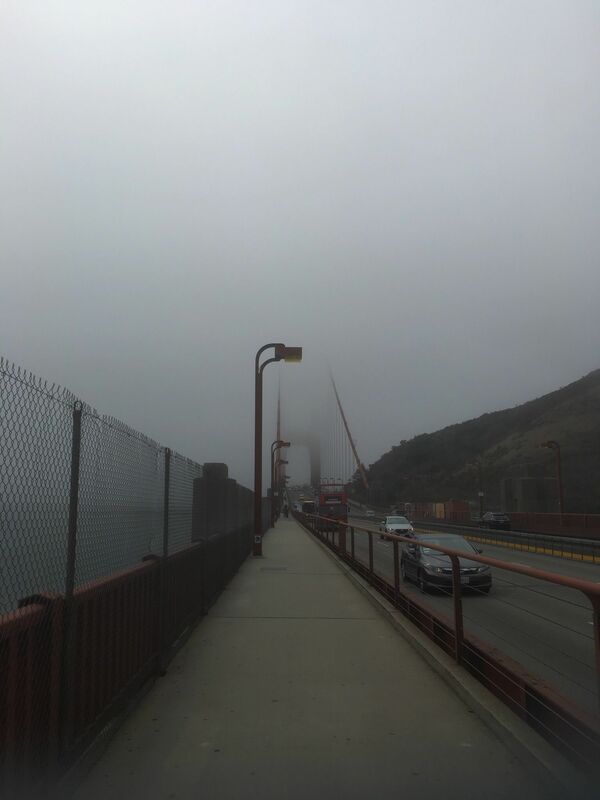 The best way to see the Golden Gate Bridge is walking along the pedestrian walkway (or biking along the other side if you prefer). 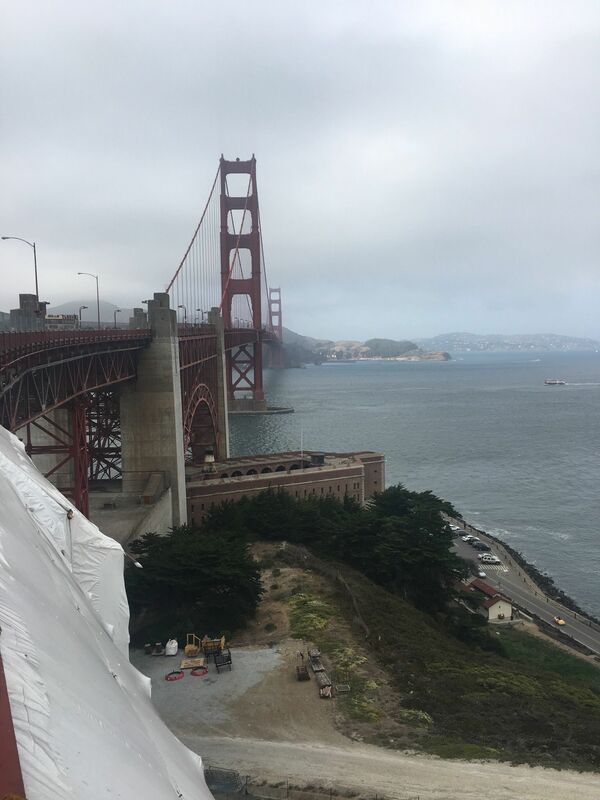 The pedestrian walkway is on the east side of the bridge (on the bay side) and is open only during daylight (the hours are extended a bit in summer). The path is level and dogs are allowed if on a leash. 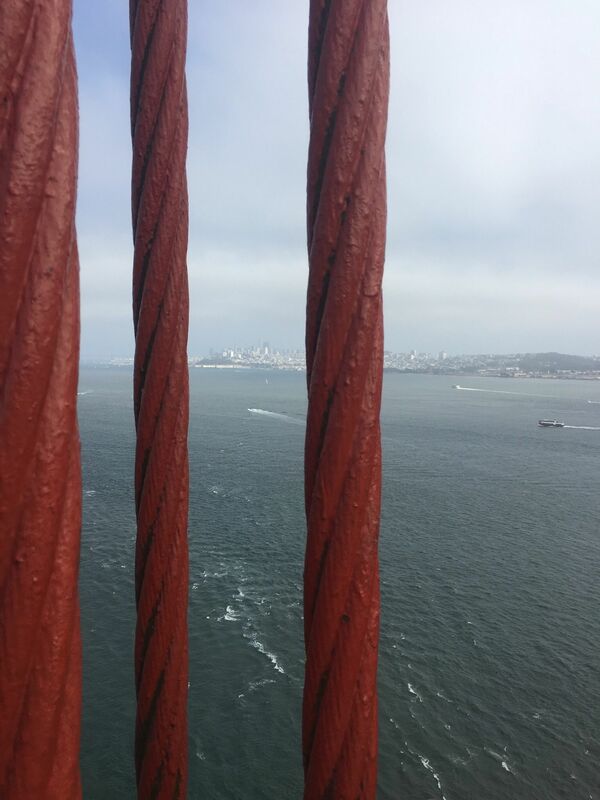 The entire span of the bridge is 1.7 miles between viewpoints. 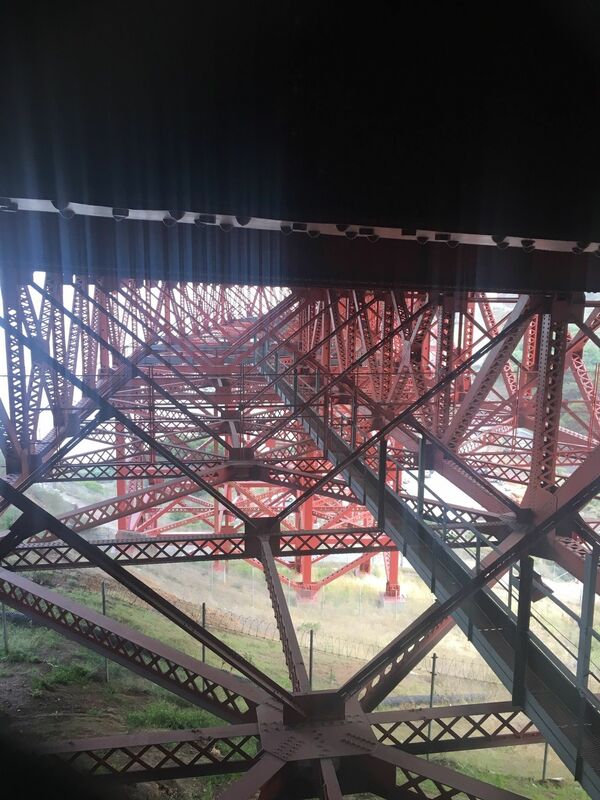 If you do not feel like walking the entire bridge, walk as far as the first support where you can look straight up to see how massive the bridge is. 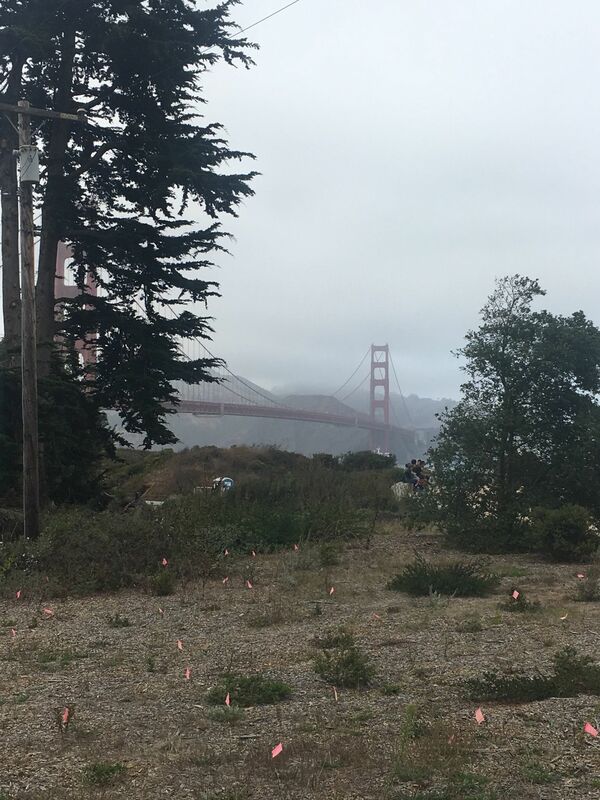 If you prefer to ride your bike across, you can do so 24-hours a day, seven days a week (although on weekends bikes are only permitted on the west side of the bridge due to the larger pedestrian crowds on weekends). 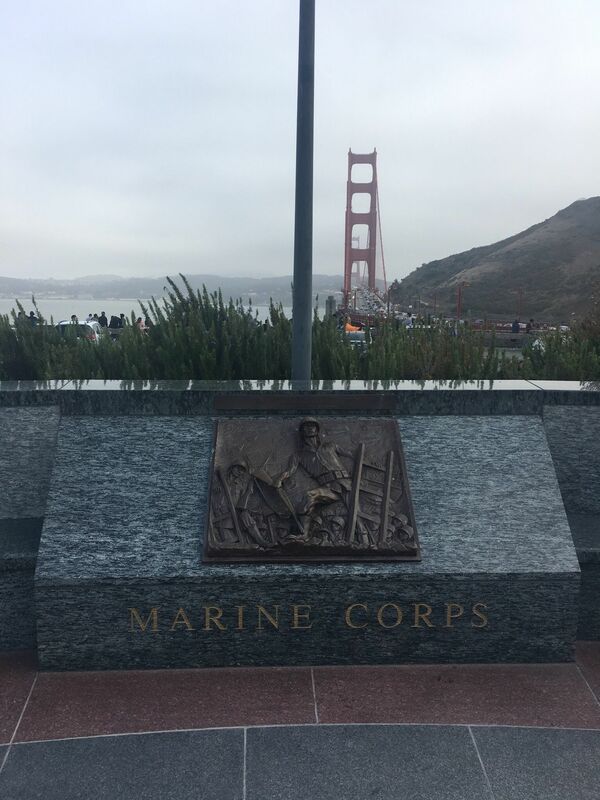 The Lone Sailor Statue stands on the north side of the Golden Gate Bridge and was dedicated on April 14, 2002, to all of the Sea Services (Navy, Marine Corps, Coast Guard and Merchant Marine). 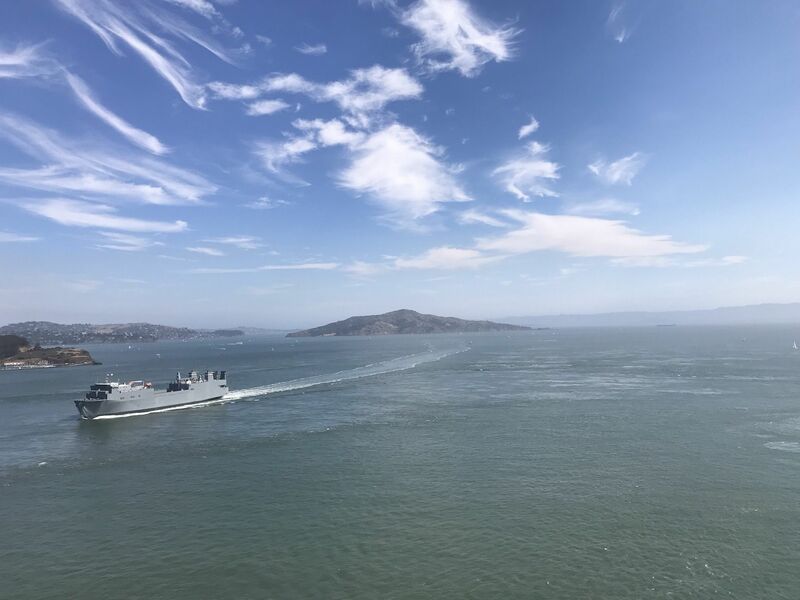 San Francisco's history is closely tied with its bay and its ports--millions of people in the military have come and gone through the Golden Gate Bridge, especially during World War II. 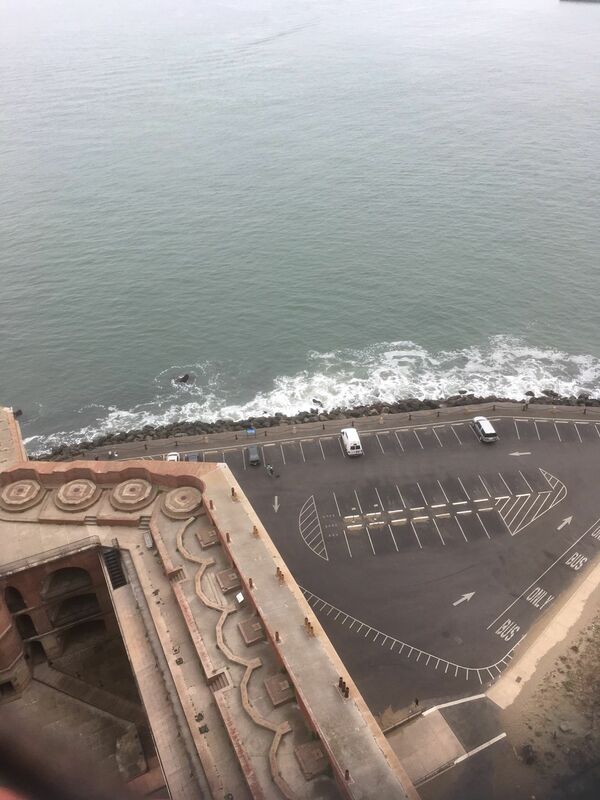 The plaque reads: "Here the sailor feels the first long roll of the sea, the beginning of the endless horizon that leads to the far Pacific." 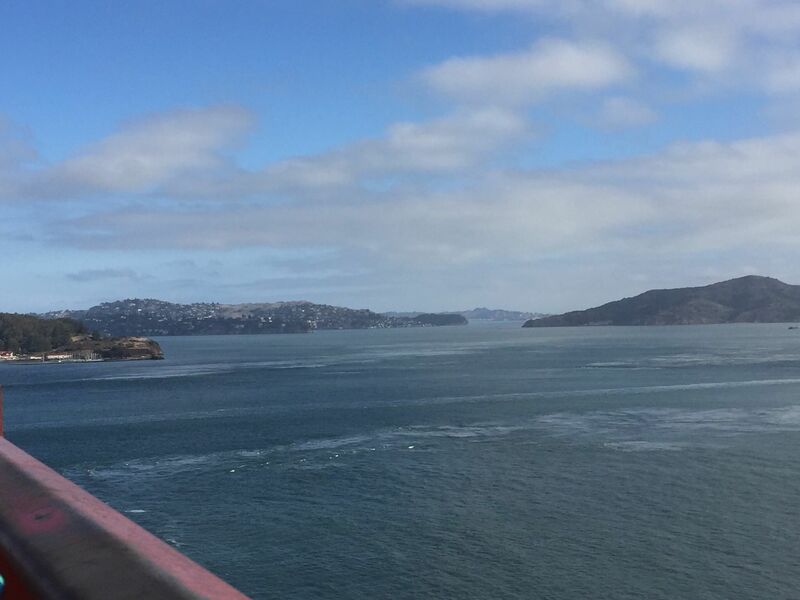 Once you've crossed the bridge you come to beautiful Marin. 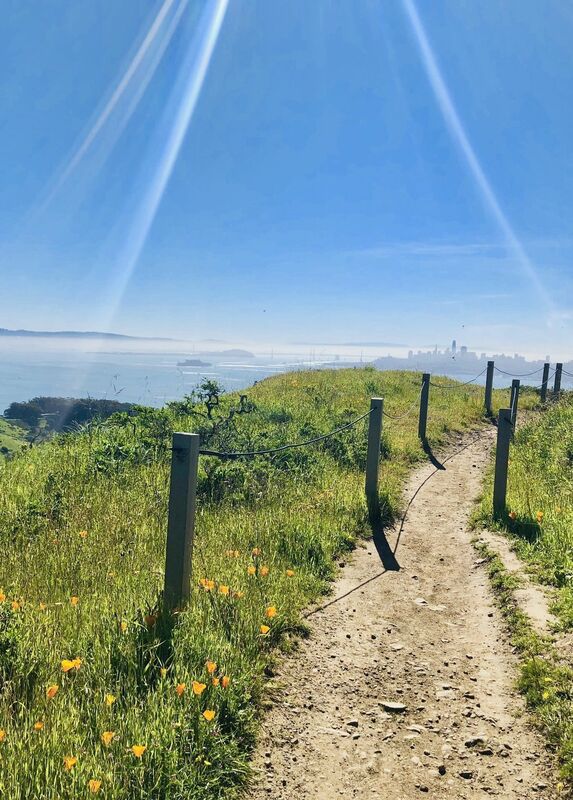 If you continue a little farther after the road curves to the left, you can get off the main road and walk on the Vista Point Trail, which offers great skyline views of San Francisco across the bay. 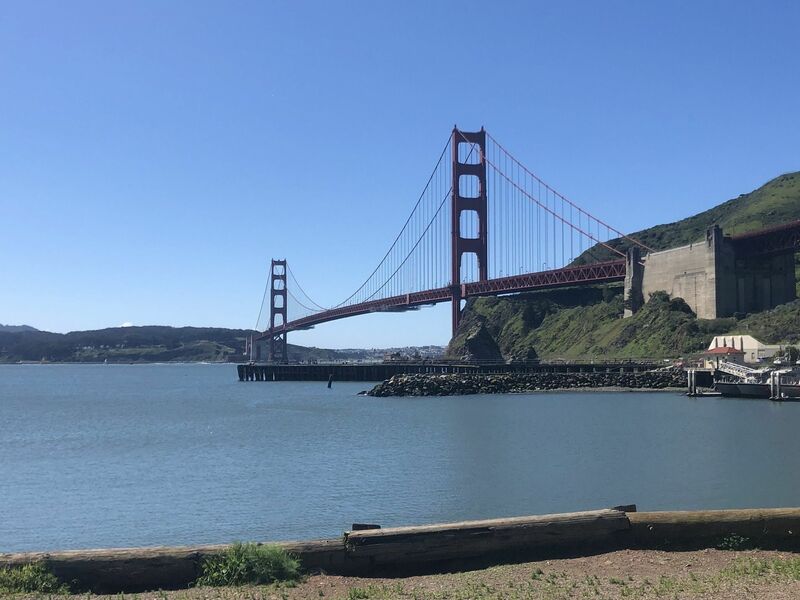 If you are up for a little more hiking before heading back across the bridge to your car, consider walking up to Hendrik Point, where you can walk around the old batteries or just sit and enjoy the view of the Golden Gate Bridge with the San Francisco skyline in the background. 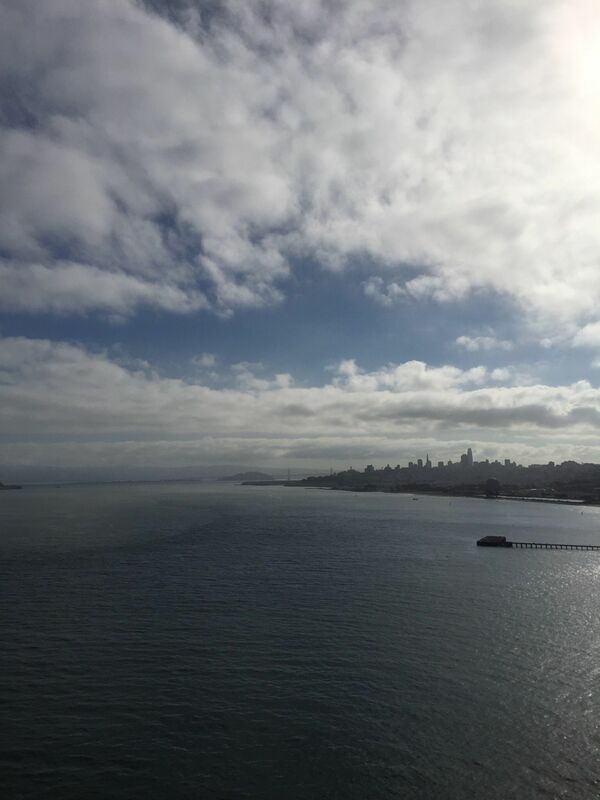 San Francisco can be a cold city because of the winds and the fog, especially near the water. 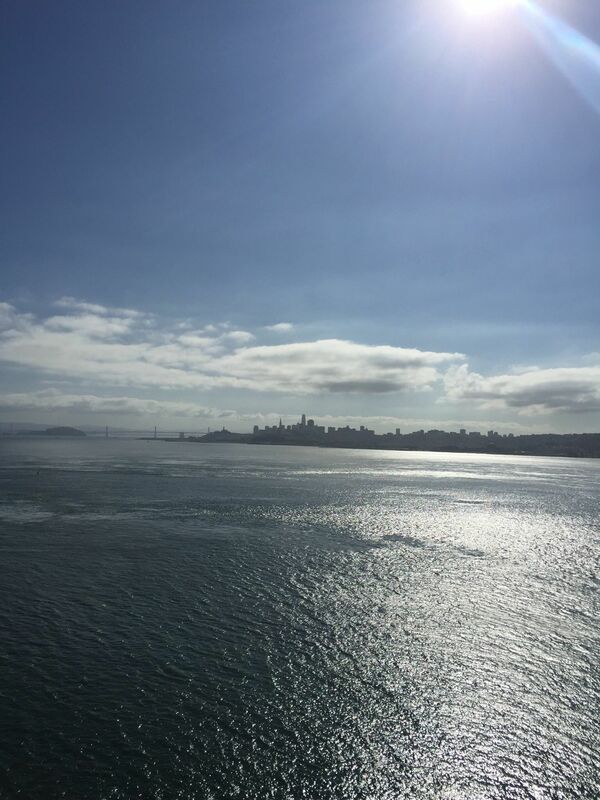 As Mark Twain famously said, "The coldest winter I ever saw was the summer I spent in San Francisco." It's best to dress in layers with something to protect you from the wind. 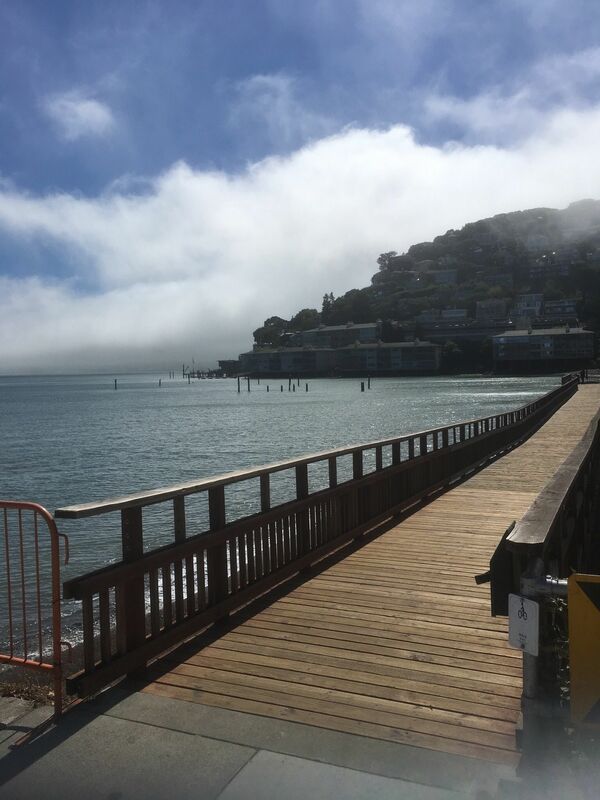 A nice sunny day can quickly become very cold once the fog rolls in. 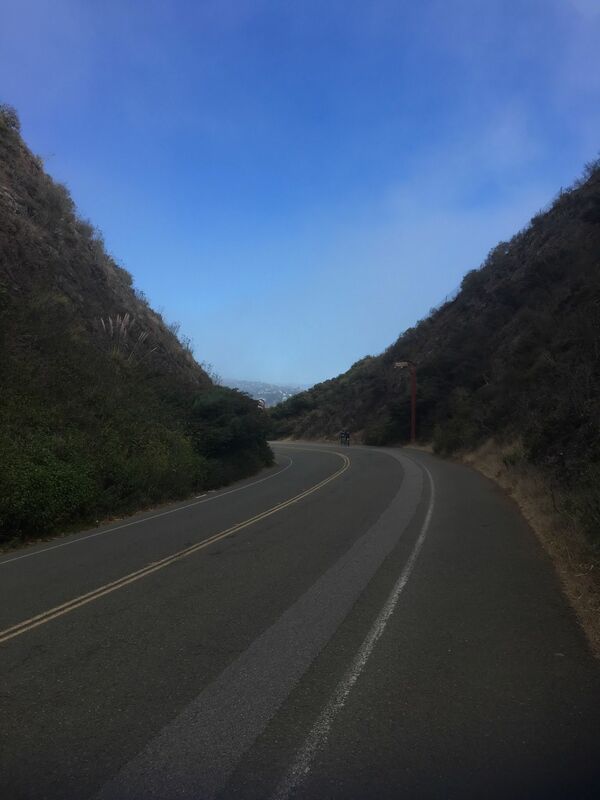 It's a pedestrian/bike road that takes you across the bridge towards trail heads on both sides. Best bike across a bridge I've experienced. 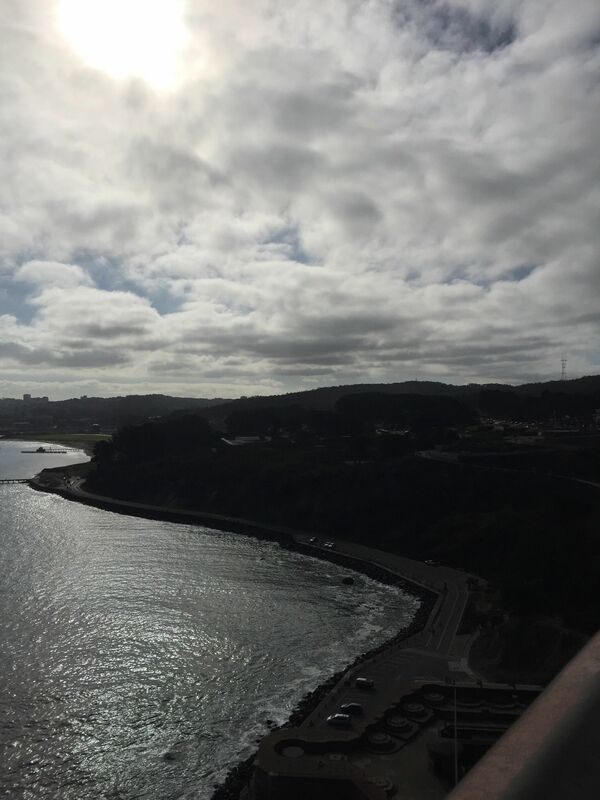 It was much more enjoyable than the bridges of Seattle. Every time I drive to San Diego From Seattle I stop here. The rest area at the north end of the bridge is my preferred location to stop and take that wonderful walk. 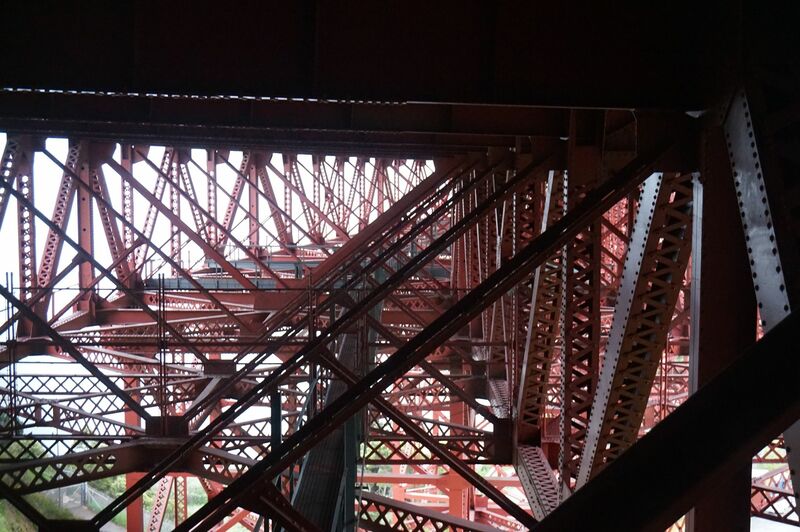 For those with inquiring minds you can see a section of the massive steel vertical suspension ropes on the south side of the bridge, near the parking lot. You may miss it if it's foggy out. 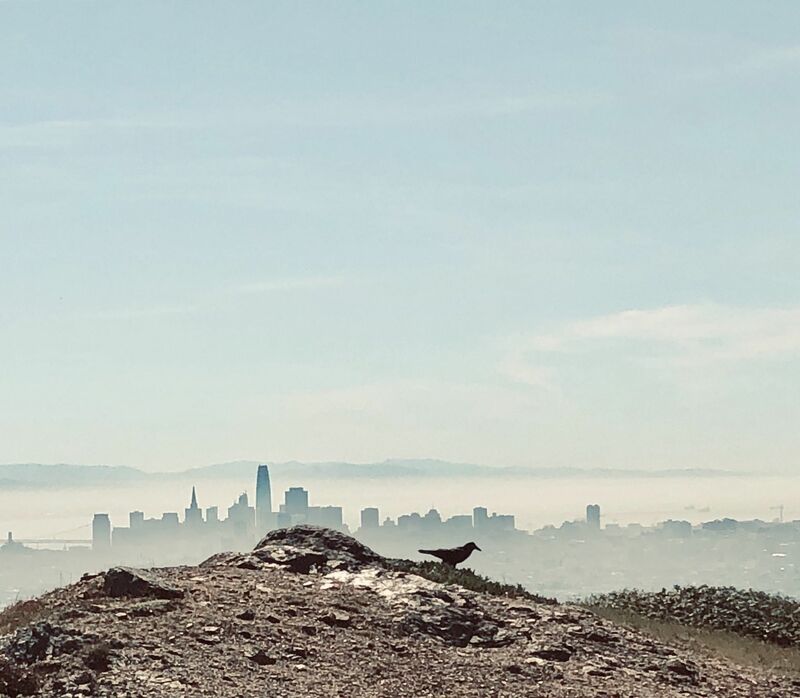 SF is a great place to hang out for the day. Enjoyed the walk with my family! We went on a Friday and it was busy. Parking took a little time to find but well worth it! 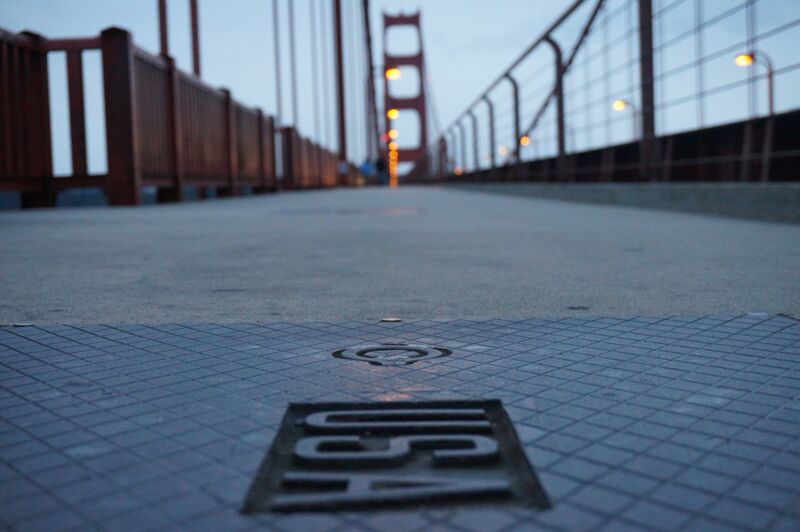 One of a kind... Have to do this when visiting SF! 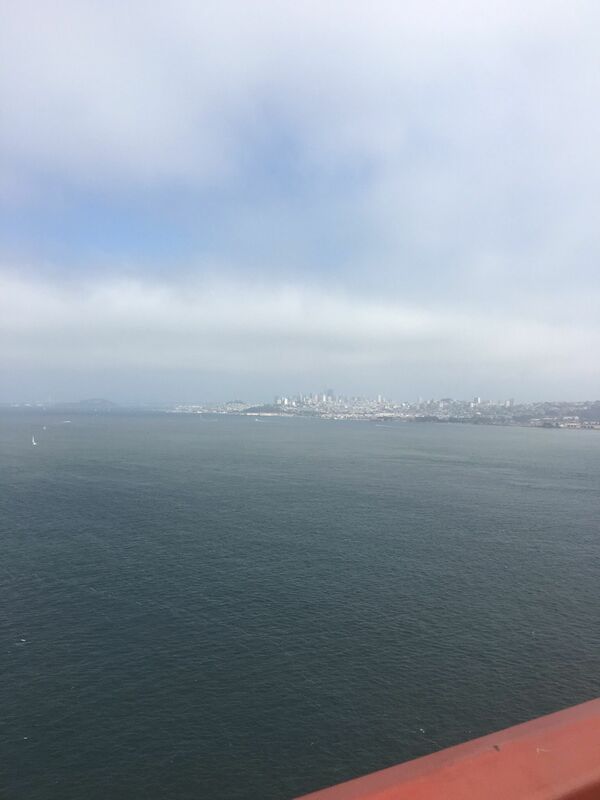 Beautiful views from Golden Gate! So few places that are as scenic as this. Its an awesome walk in the Fall but anytime year round it’s beautiful! Very enjoyable walk. Went early on a Sunday morning. Not too crowded. 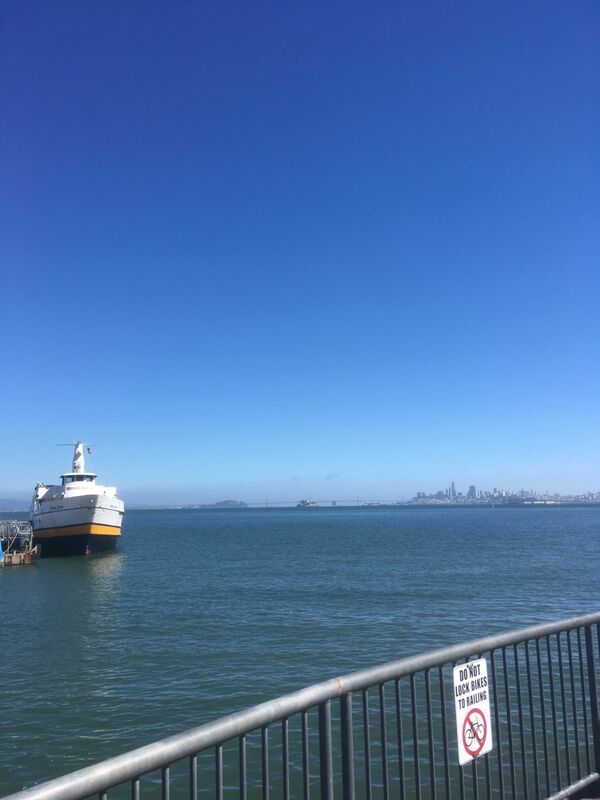 Beautiful views of the bay. Windy easy stroll across the bridge and back. 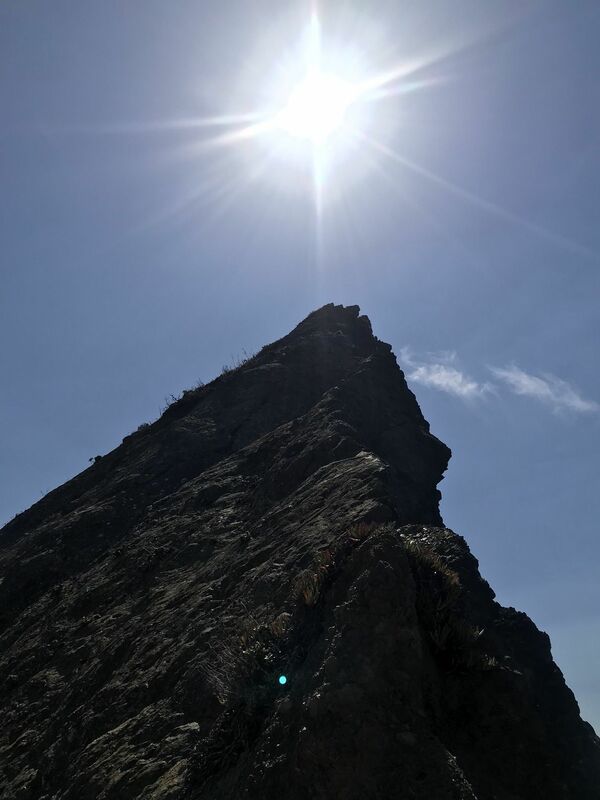 Best hike ever . 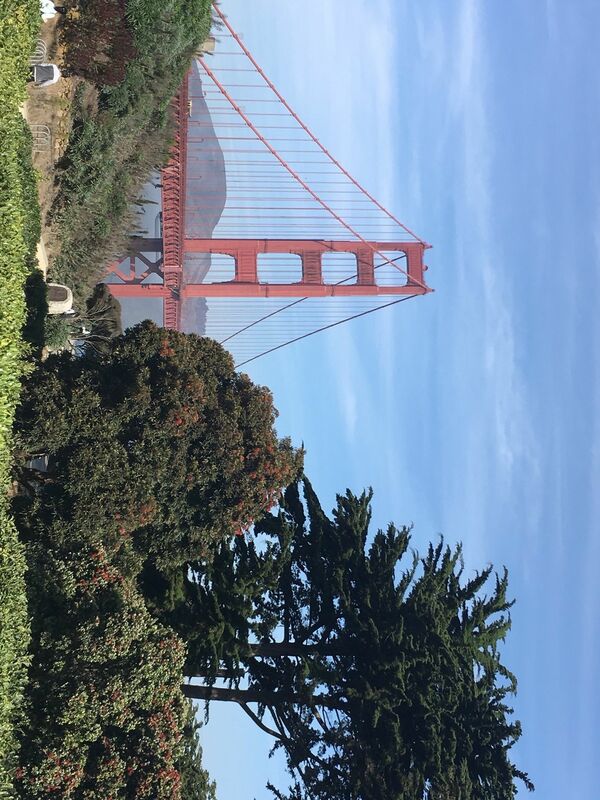 a must do when you are visiting SF. 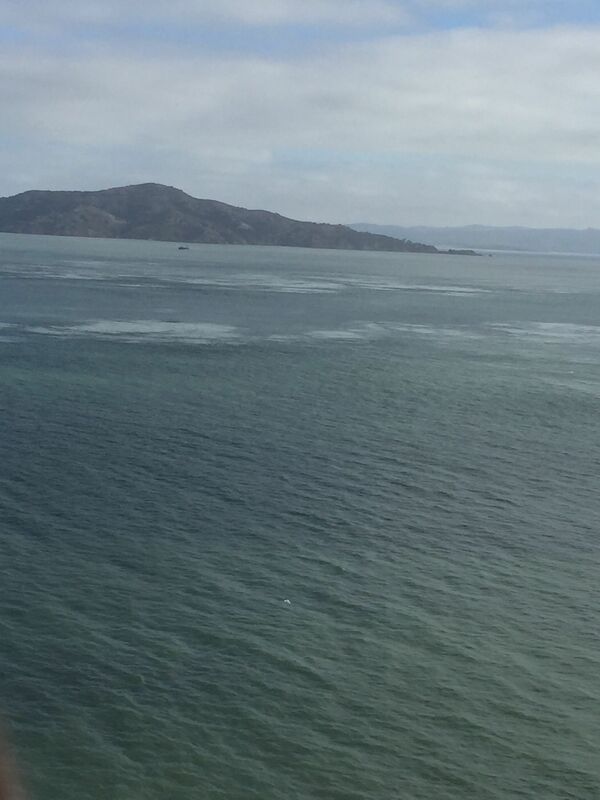 You could see Alcatraz and angel island. The view of the open waters is amazing and relaxing. I did this in November 2016. A San Francisco tradition. Just do it! Great sunny day.... fun walking across. Gorgeous day, less windy than we expected. Loved that cyclists were separated from the walkers. Highly recommended! Great and very memorable walk. 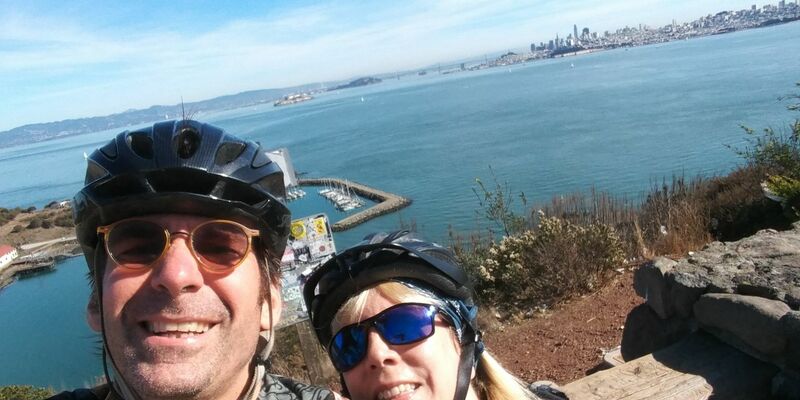 Do not miss when in SF! Be prepared for high winds. Everyone must do this at least once. 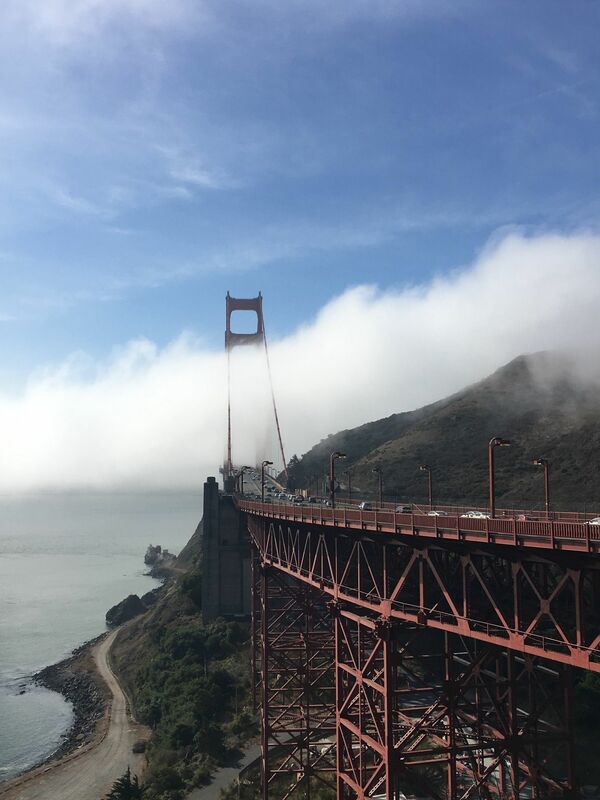 It's one of the most iconic bridges in the world. Looks great in any kind of weather. Beware, for it is very popular and there will be many others walking along side you. 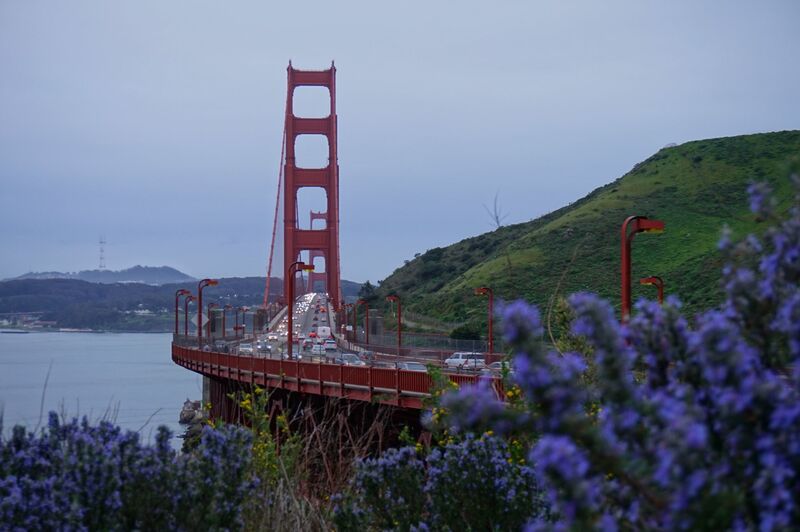 Keep an hear out for anytime you hear the bridge being closed down, because they often keep it open to visitors. 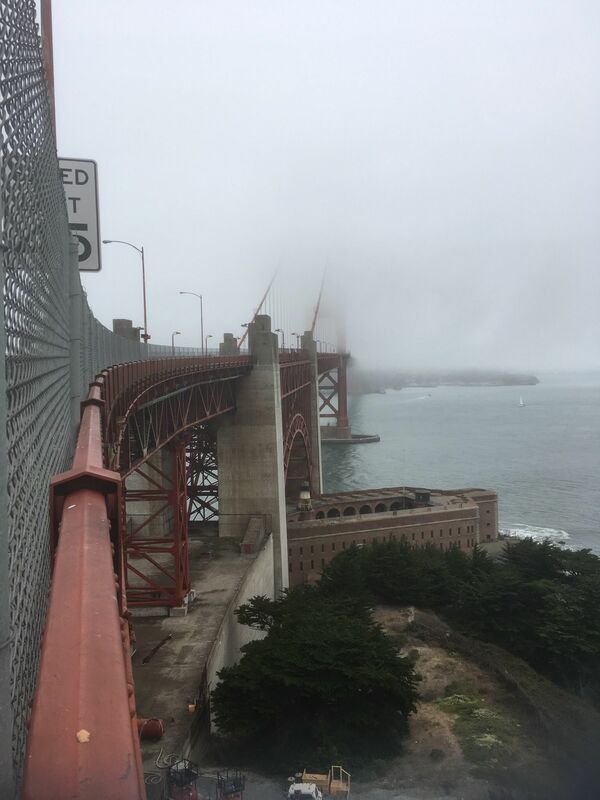 I went with the bridge closed down once and it was wonderful to experience the majestic bridge without the rumblings of the traffic. Everyone should do this walk at least once. 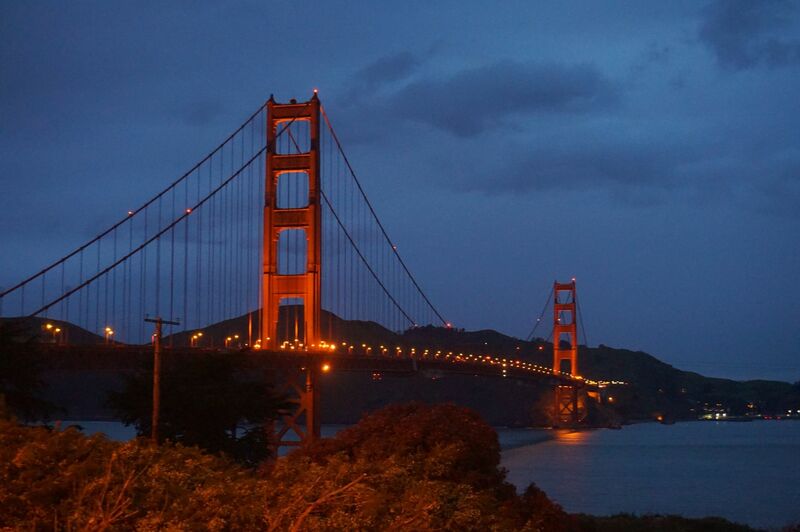 Here are some more interesting facts - http://mentalfloss.com/article/64379/20-awesome-facts-about-golden-gate-bridge. Driving from the city, make sure you take the last right turn just before you reach the toll booth area. Good parking lot, visitor center and bridge access is here. It can be crowded and hard to find a spot, but wait as people come and go constantly. 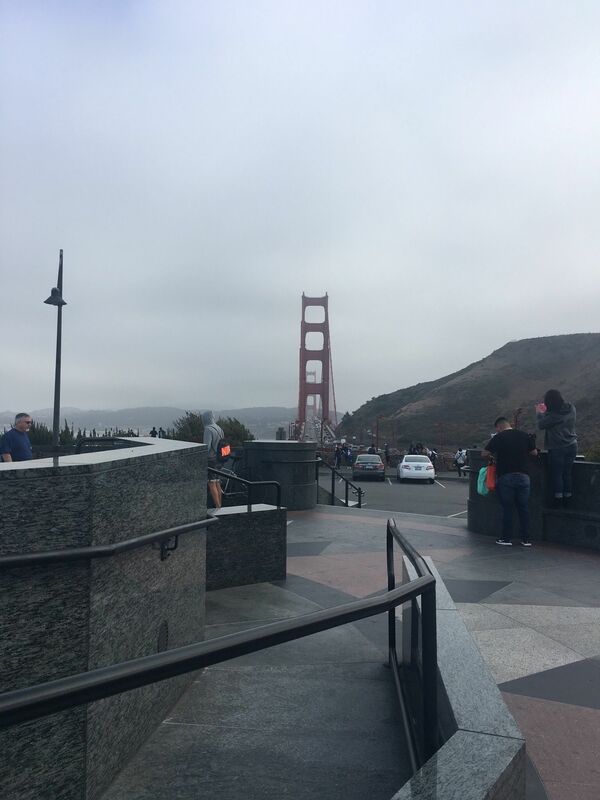 It was a foggy, windy day and gave us the full SF Golden Gate Bridge bucket list experience. Not to miss. 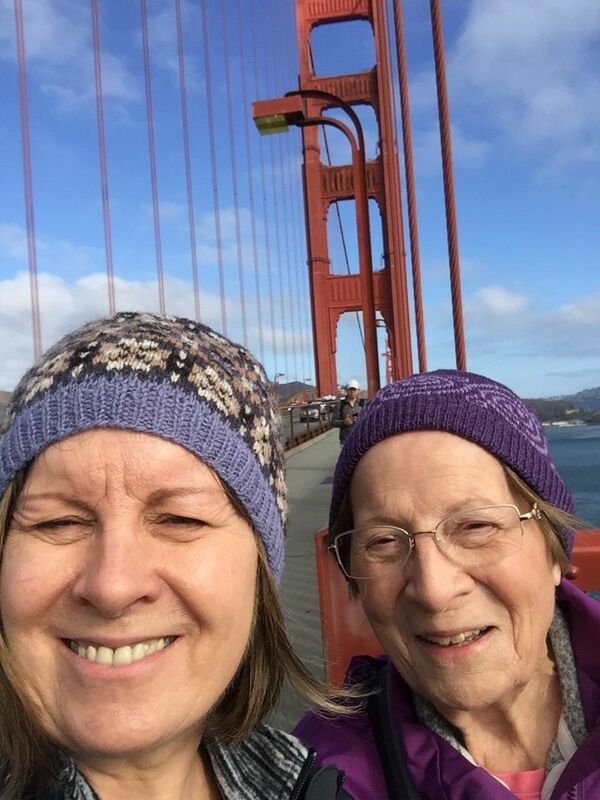 Walking the golden gate bridge is a highlight of any trip to San Francisco. 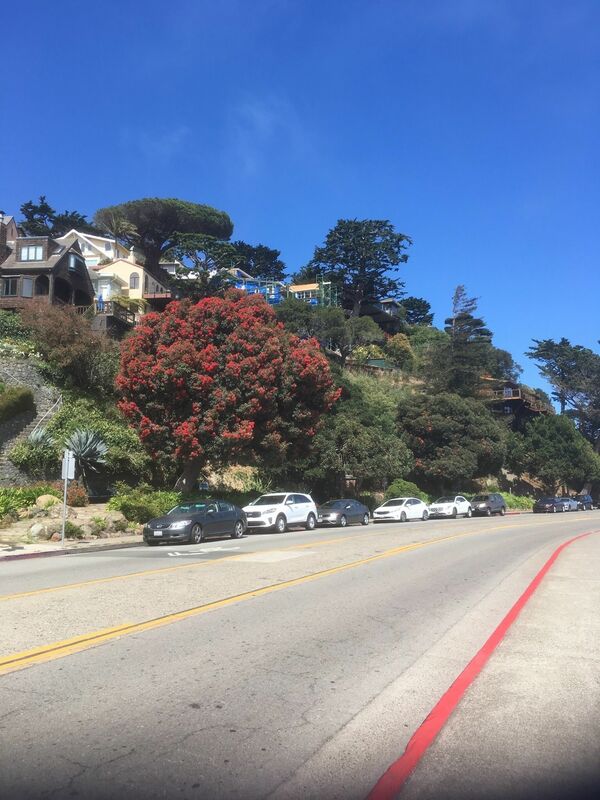 I have only walked it a handful of times and I have lived here my entire life. 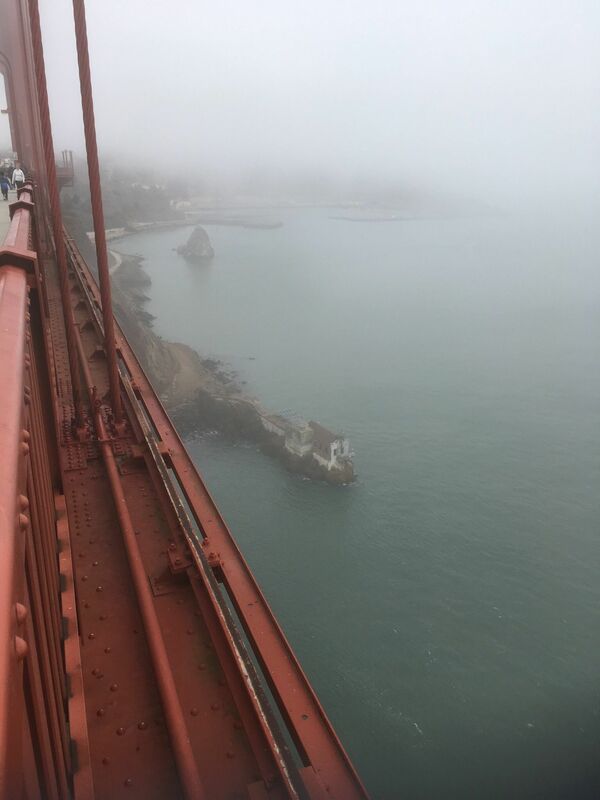 It can be pretty windy on the bridge, so wear a jacket or wind breaker. 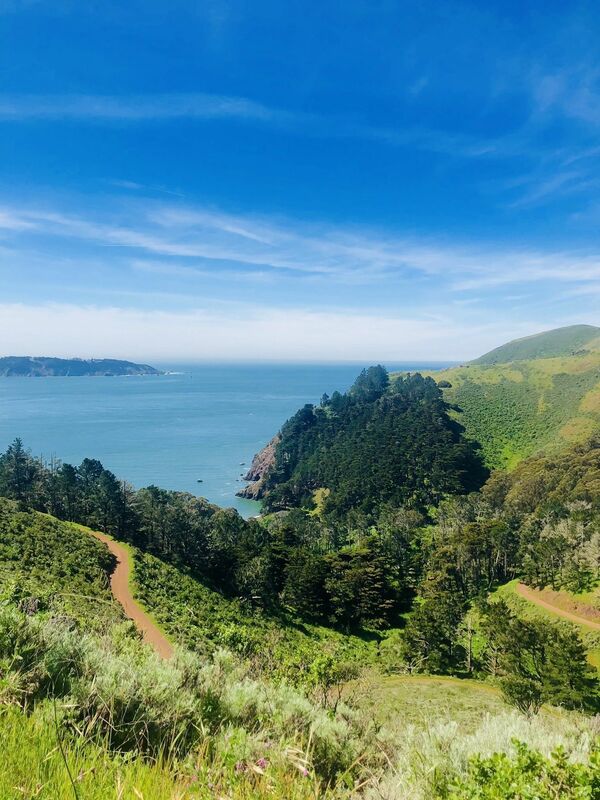 The views of the Marin headlands are great and you can see Angel Island, Alcatraz, and the entire skyline of downtown SF. Alexandre Moore recorded Recording - Mar. 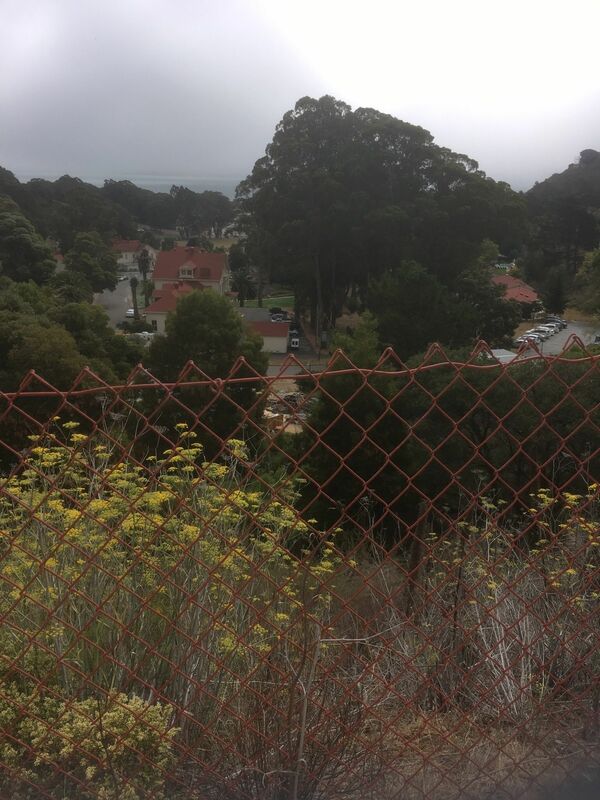 31, 08:48 p.m.
Alex Cox recorded Decent urban hike. Too many people. I’ll bring my family and tourists here. now I’ve done it. Moving on.